I caught myself one morning rushing while brushing. I thought: What’s the use? Rushing while brushing, that is no fun, that is no good, that is not what I want, if I could change it, I would! In the late 80’s and early 90’s the word on the street was that computers, the Internet (back then called the “Information Super Highway”) and other technological developments would do much of our work and allow us (the people) more free time. I don’t know about you, but almost 20 years later I am not really feeling it. Instead of more free time, it seems we are moving at the kind of speed you see when fast forwarding a movie. And as hectic as life is for some of us here in the Tri-state area, experience tells me that once again, like every year, the speed will increase to new levels with the “opening games” of the Holidays season. It was in 1994 when I first realized that the official opening date of the holiday games is October 31st. And the opening ceremony involves consuming large amounts of the Halloween candy we’ve bought for the tricksters. For some of us this opening is followed by a slow yet steady build up of planning, shopping, food preparation, and family expectation, like the sounds of an orchestra tuning and warming up in our heads, growing louder every passing day as we perform the hectic holiday dance, fueled by a constant stream of sugar consumption until, finally, we crash on the first morning of the New Year. I was not so happy to find myself rushing while brushing. I made a note of that. I also made a note about the “opening games” of the holiday season, and made a choice to add some time to my daily practice. I reminded myself that I would like to spend as many moments as I can LIVING IN THE MOMENT, JOYOUS AND FREE. I wrote it in big letters. What is it that brings me to the moment? What is it that takes me away from it? 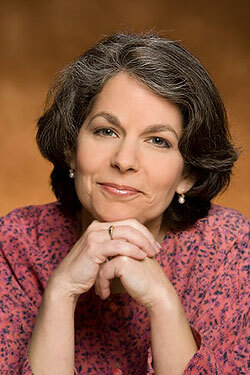 We are extremely happy to be adding Miriam Moran Shankman to our group of Mind Body Spirit Odyssey blog writers. Miriam is a practitioner and instructor of Tai Chi and Chi Kung in the New York, Tri-State area. I have also had the great pleasure of being a student in her classes. 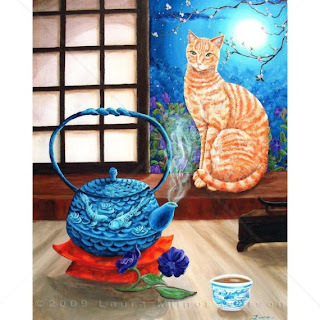 The painting that we used to accompany this piece; "Blue Moon Tea-Orange Tabby Cat with Teapot" is by California artist Laura Milnor Iverson. It is available in her shop ZenBreeze Art Gallery on Etsy. Ditto to everything that was said above. If anything, my computer has taken up MORE of my time, not less. It is now a concerted effort on my part to put aside work, to step away from the cell phone, to put away Facebook, and meditate and focus on the tremendous blessings I've been given. This post reminds me that slowing down is an intention that needs to be followed through. Thanks for posting! Oh, and welcome aboard Miriam Moran Shankman! a timely reminder. beautifully written. thanks!